Electromagnetic clutches, also referred to as electromechanical clutches, operate electrically but transmit torque mechanically. The basic design of an EM clutch consists of an electromagnetic coil within a metal housing (called the stator), a rotor, and an armature that connects to the output. When an electric clutch is engaged, the coil is energized creating a magnetic field which pulls the armature plate to the stator, establishing a mechanical connection. The force between the components friction surfaces transmits torque from the input rotor to the output armature. To disengage the EM clutch, the electrical power source is disconnected. With no magnetic field affecting it, the armature is pulled back into default position by a flat spring. This creates a small air gap between rotor and armature, thereby separating the mechanical connection and torque transmission. Cycling can also be accomplished by interrupting the current and specified intervals. 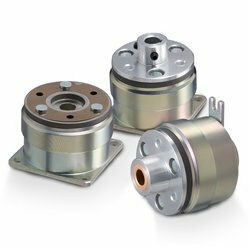 Electromagnetic clutch brakes typically provide zero backlash and are well-suited for general industrial operating environments. 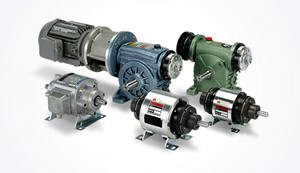 Electro Magnetic Clutches Provide Precise Power Transmission in Different Configurations. 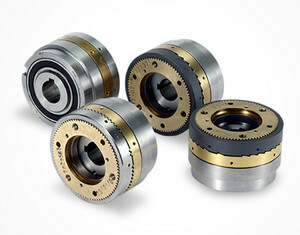 Electromechanical clutches from Miki Pulley are provided in a friction or toothed type, and micro electric clutch options and in combination clutch and brake units for more complex applications. We offer two mounting options including wall-mounted EM clutches with a flange-mounted stator and shaft-mounted electronic clutches featuring a bearing-mounted stator with factory set air gap for simple installation. Our shaft-mounted electric clutches are designed for easy mounting, and our wall-mounted EM clutches are ideal for applications where space is limited. Electromagnetic micro-clutches feature the same smooth operation and design of our standard electromechanical clutches but are compact for precision equipment applications such as office equipment and packaging and sorting equipment. 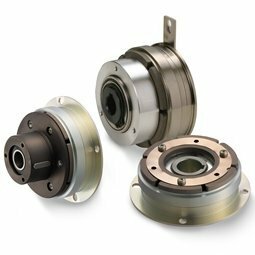 Electronic micro-clutches are available with flange and staff mounting options and in styles providing torque up to 2.4Nm. They operate in temperatures up to 104°F and provide zero backlash. 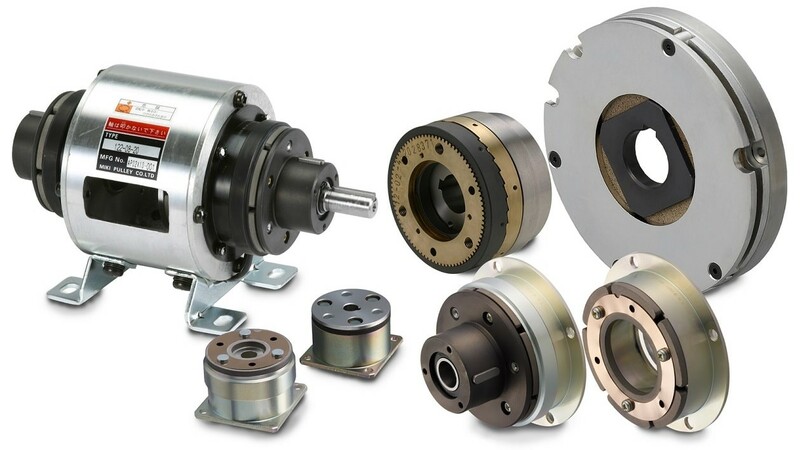 Actuated clutches are designed with a stator that produces an electromagnetic field to engage the armature and rotor. This highly versatile style of electric clutch is ideal for automated gates, paper processing equipment, printing machines, factory automation and more. We offer actuated electro magnetic clutches in a wide range of sizes and in flange and shaft mount configurations providing brake torque up to 320Nm. They provide zero backlash and can withstand ambient temperatures ranging from 14°F to 104°F. Electromagnetic tooth clutches feature interlocking teeth that provides more precise timing and allows the transmission of higher torque than friction-based electric clutches. They are an excellent choice for multi-stage machinery and can be used in either wet (oil) or dry applications. Miki Pulley provides full position and fixed position electromechanical tooth clutches in eight sizes and six tooth profiles to meet your high velocity performance requirements. Our electro magnetic tooth clutches provide torque up to 2200Nm, feature built-in bearings for easy mounting and can be used in dry environments or immersed in oil. Electro magnetic clutch and brake combination units provide engineers with a turnkey solution for complex mechanical applications. Our electromagnetic clutch and brake combo units provide up to 320Nm of torque and are available in six different models including double clutch and brake configurations. Miki Pulley offers several electronic clutch and electromagnetic brake options to meet your application requirements. Request a quote today or contact us to request additional information.